The Colony Golf & Bay Club leaves nothing to be desired for discerning luxury home purchasers. Every amenity and convenience has been thought of so you can enjoy the best of this master planned, charmed community located in Bonita Springs, Florida. There are two award-winning clubs which include The Colony Bay Club dining facility and the 28,000-square-foot Colony Country Club. The two-story Colony Country Club is a great place to relax after a round of golf or to entertain friends and family. Interior and exterior dining options are available. A plush lounge and bar area is available for casual meetings. From The Colony Bay Club enjoy panoramic views of Estero Bay, mangrove preserves and the Gulf of Mexico. From inside diners can watch boaters and paddlers enjoying Estero Bay. The Colony Golf and Bay Club and Pelican Landing enjoy shared use of a 34-acre island beach park. Accessible only by water taxi, the beach preserve is unlike any other community beach park in the area. The Beach Park provides nearly one mile of pristine white sand along the Gulf of Mexico. The Colony also offers a canoe park and boat ramp. Explore acres of pristine natural preserves, mangrove estuaries and the back bays of Bonita Springs and Estero from Spring Creek which feeds into the bay. 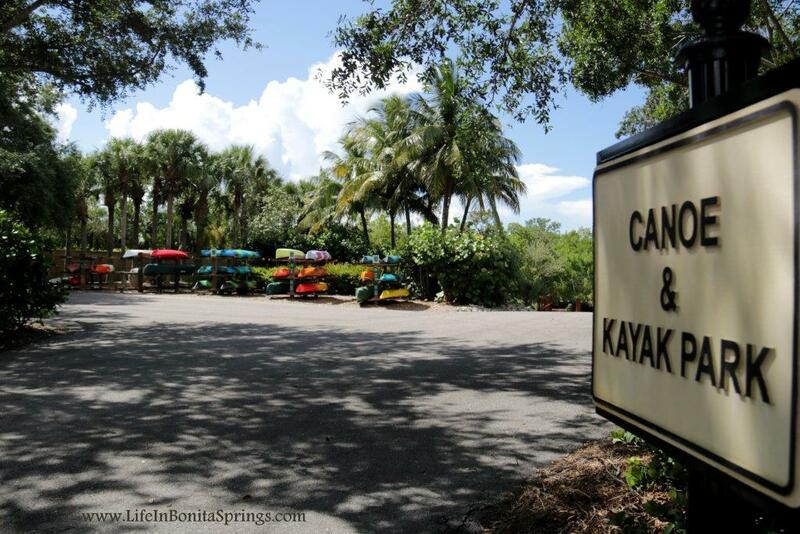 Estero Bay is a hidden gem for the back water angler and for the paddler the Great Calusa Blueway intersects with Spring Creek creating miles of mapped scenic paddle trails. Home owners have the option to enjoy an eighteen hole championship course designed by renowned architect and U.S. Open champion Jerry Pate. Visit official Colony Golf and Bay Club website to tour the facility www.thecolonygolfcc.com. The tennis center at The Colony Golf and Bay Club features six immaculately groomed Har-Tru® tennis courts. 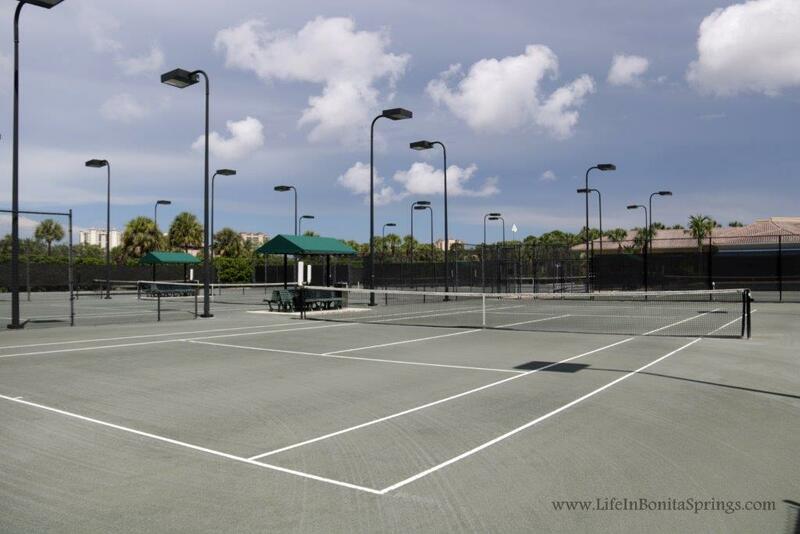 There are both men's and women's tennis programs including tennis clinics, private lessons and leagues. Concierge services are available at The Colony Golf & Bay Club. Services include: Home Watch, Grocery Shopping, Airport Shuttle, Home Close - Up, Home Open - UP and Vendor accompany services for delivery, installations and repairs. Adjacent to The Colony Country Club is The Colony Spa & Fitness Center. Indoor features of this facility includes a cardio-theater exercise room with cardiovascular weight training equipment and an aerobics room with shock-absorbent wood flooring, 3 spa treatment rooms, men's and women's locker rooms, steam showers, tennis shop, pool and spa. A staff of personal trainers is available to customize exercise programs for each member's needs. 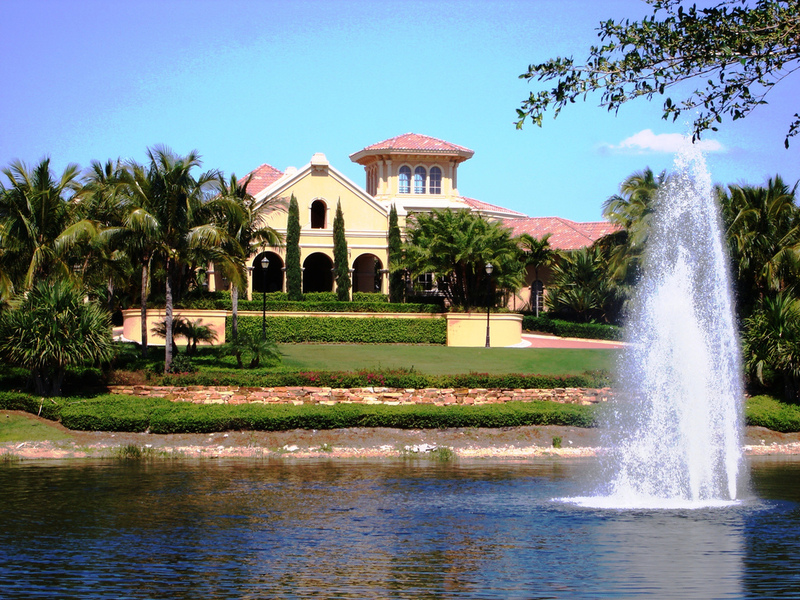 Located in fast growing, Bonita Springs, Florida, The Colony Golf and Bay Club is an 800-acre community perfectly situated between Naples and Fort Myers. Residents of The Colony are approximately 20-25 minutes away from the Southwest Florida International Airport and just across the street from the Coconut Point Mall. Residents of The Colony Golf and Bay Club also have convenient access to Interstate 75, Florida Gulf Coast University, 5th Avenue in Naples, The International Design Center and the white, sandy beaches of both Bonita Beach and Barefoot Beach.